Yooo there! 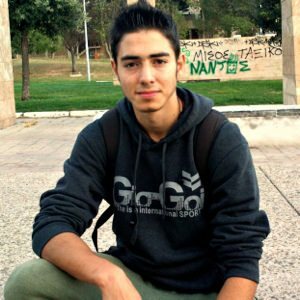 My name is Dimitris Dk’ Kyrsanidis, I am 18 Years old and i am from Greece,Thessaloniki. 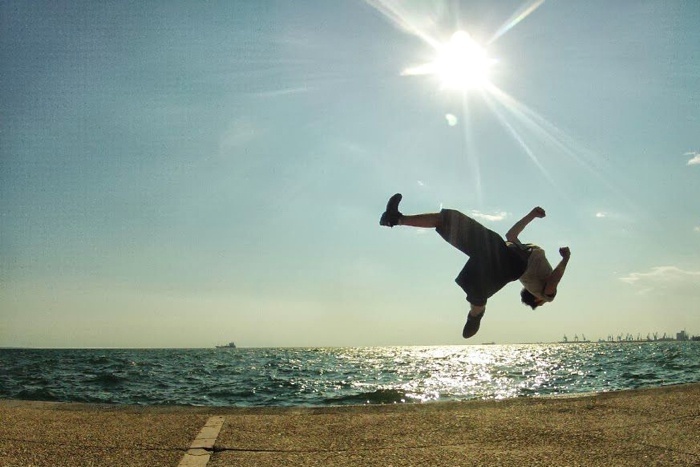 My Passion is basically “Freerunning” but i am training on Parkour, Tricking, Bboying, Acrostreet too. Total Training : 6 years, I started with Parkour at first, i had no goals, i just wanted to be with my friends and run all day. After a couple of months i found a goal to train for. So i started to train everyday 5-6 hours at least but unfortunately none friend of mine had the same goal as me, so i was working on my own. Now 5 years passed since then and my goal is to be a recognisable WFPF Athlete, to be officially a Red Bull Athlete and to start touring the world, meeting new people, get more experiences and to take part in every Freerunning Competition. In this video you are good but in your new video you are AMAZING!!!! I am an 18 year-old parkour instructor from the United States. When I run out of things to work on in class or lose the motivation to train, your movement always reminds me that there are new skills to be learned, new movements to be mastered and new horizons to be breached. Thank you for helping shape the world of parkour, and showing the little ones what they can achieve with dedication and perseverance.